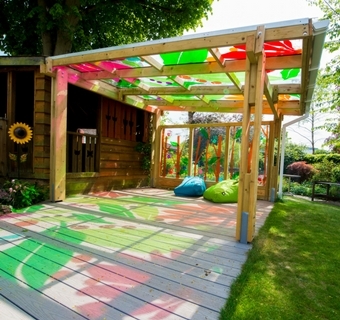 Greenfingers Gardens are magical outside spaces in hospices, where life-limited children can spend quality time outside with their families, friends and carers in a safe and protective environment. As well as places where therapies, play and precious memories can be created, our gardens can also provide a special space for reflection and remembering. You can read more about our gardens in progress here. If you would like to read more about our finished projects, click here.